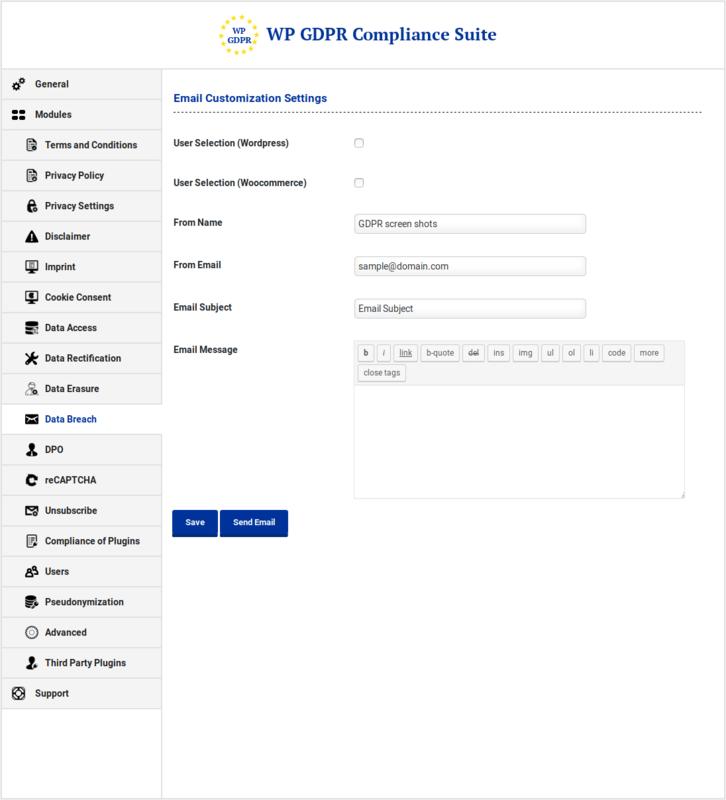 WP GDPR Compliance Suite is a WordPress Plugin that provides comprehensive set of tools that will help you make your WordPress site GDPR (General Data Protection Regulation) Compliant. 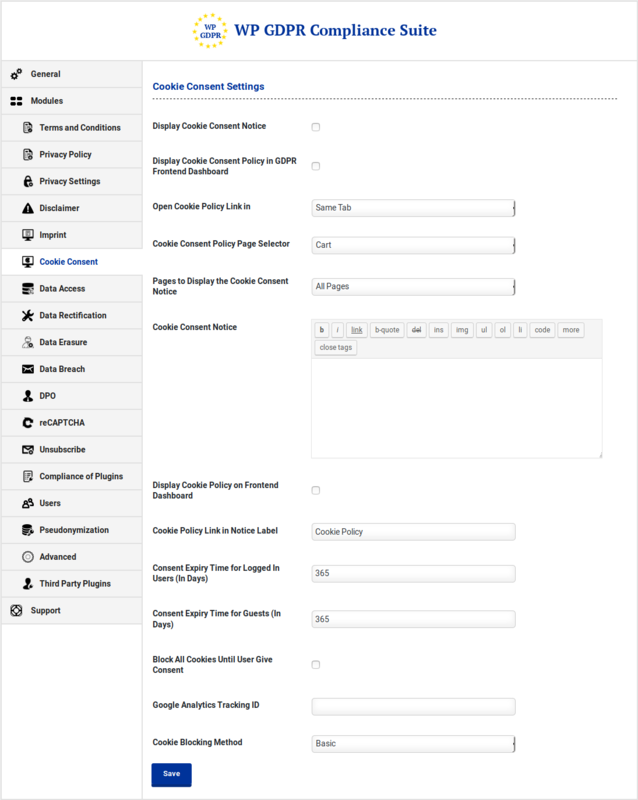 We have provided compatibility with WooCommerce, BuddyPress, MailChimp, Contact Form 7, Gravity Forms, Formidable Forms, Quform, Google Analytics, Facebook Pixel, AddThis and more to come. 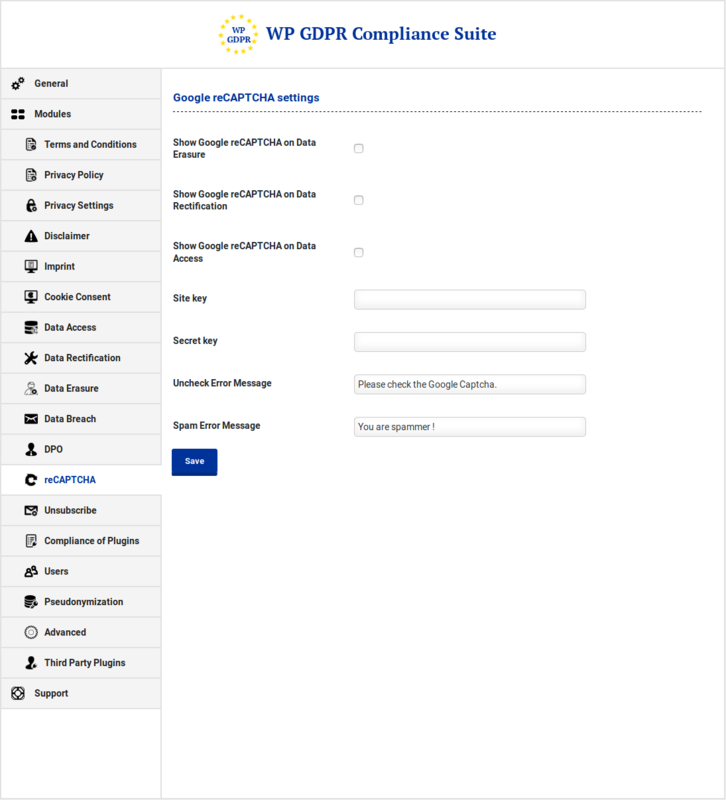 Please note that we have provided the Translation PO Files for German, French, Italian, Spanish, Dutch, Greek, Danish, Polish, Portuguese, Russian, Czech, Croatian, Hungarian, Norwegian, Romanian, Slovak, Turkish, Swedish, Bulgarian and Finnish. 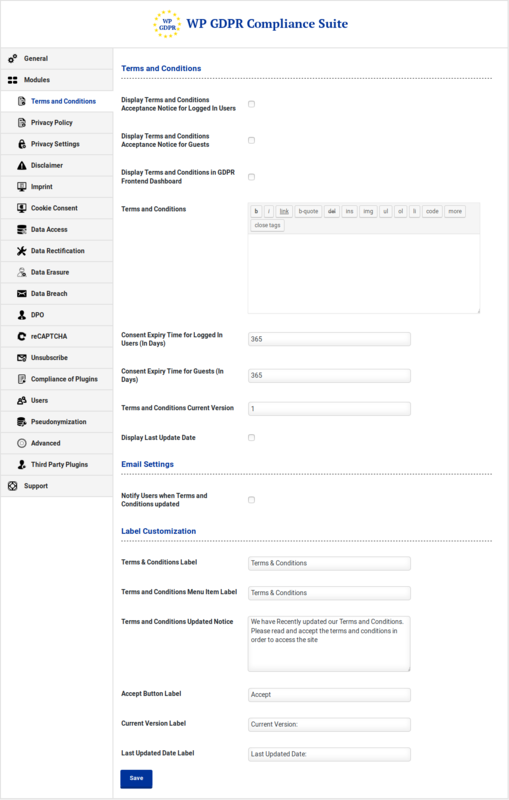 These languages are not native to us and we have used software tools to do the translation. Hence these files can be a good start but may not be 100% ready to use. 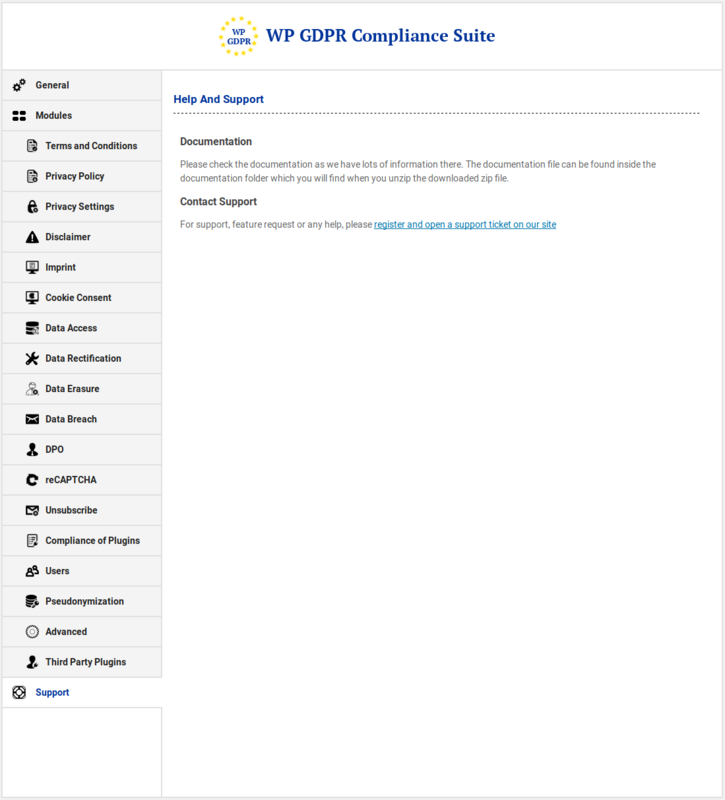 Please review the translations and then use it. 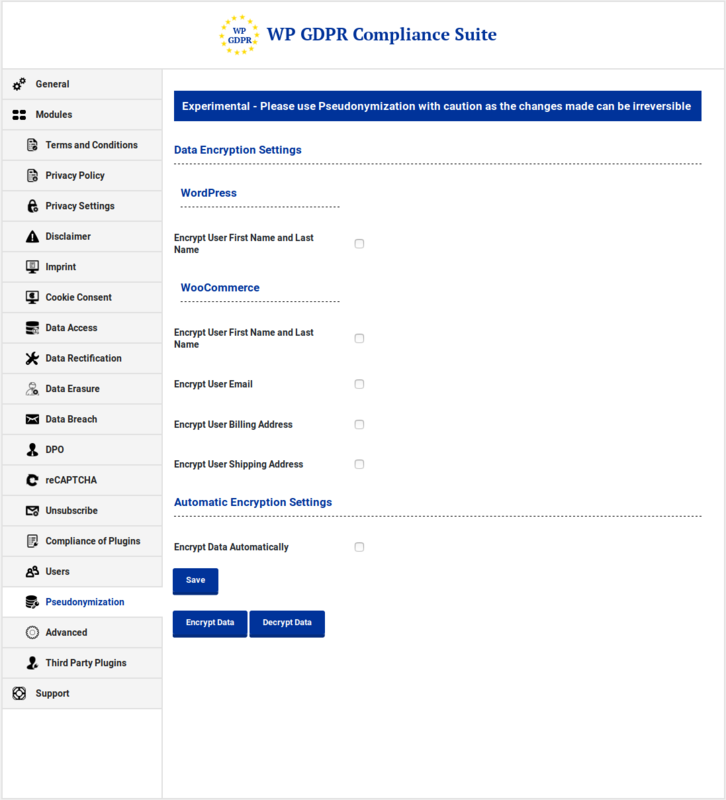 How to Upgrade to a newer version of WP GDPR Compliance Suite WordPress Plugin? 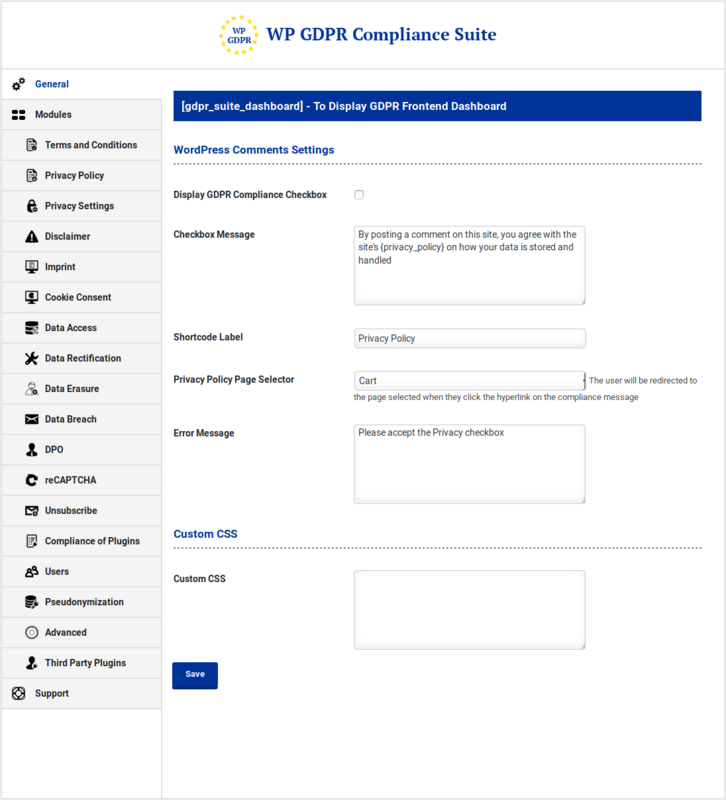 If you are using an older version and want to upgrade to the latest version of WP GDPR Compliance Suite WordPress Plugin then please do the following steps. 1. 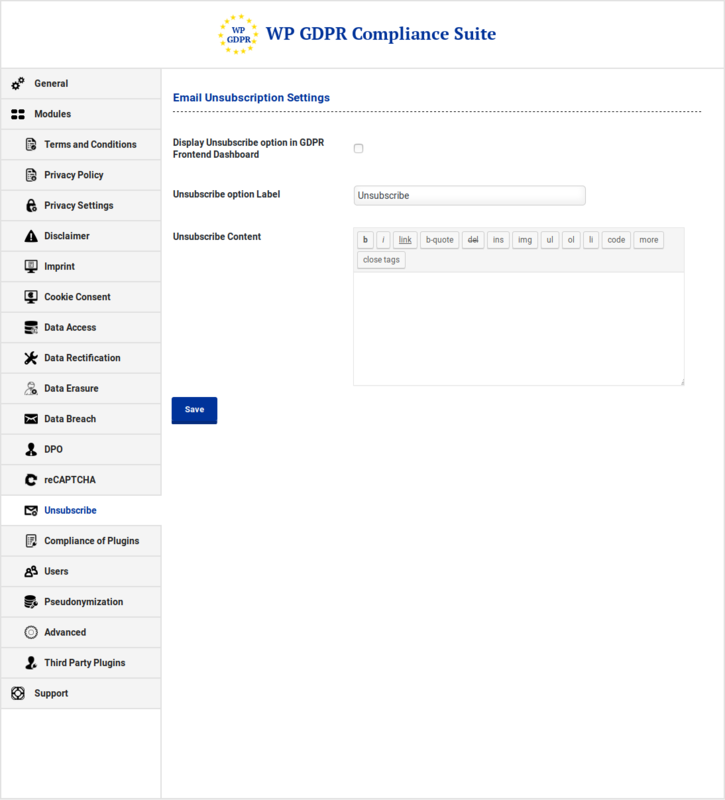 Deactivate and Delete the existing version of WP GDPR Compliance Suite WordPress Plugin in your site. 2. Download the latest version file (gdprsuite.zip) of WP GDPR Compliance Suite WordPress Plugin from Codecanyon. 3. 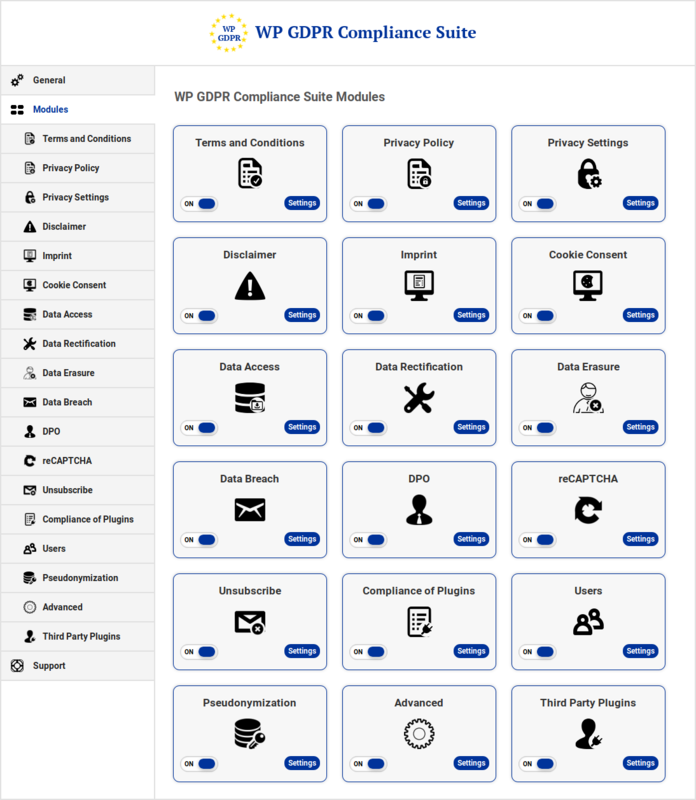 Unzip gdprsuite.zip inside which you will find the Plugins files i.e. 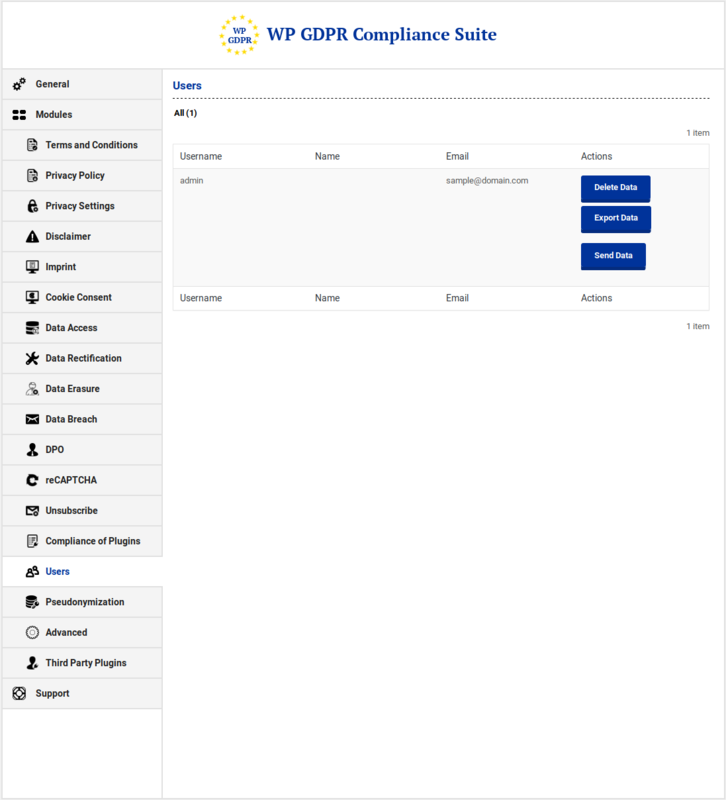 gdprsuite.zip. 4. 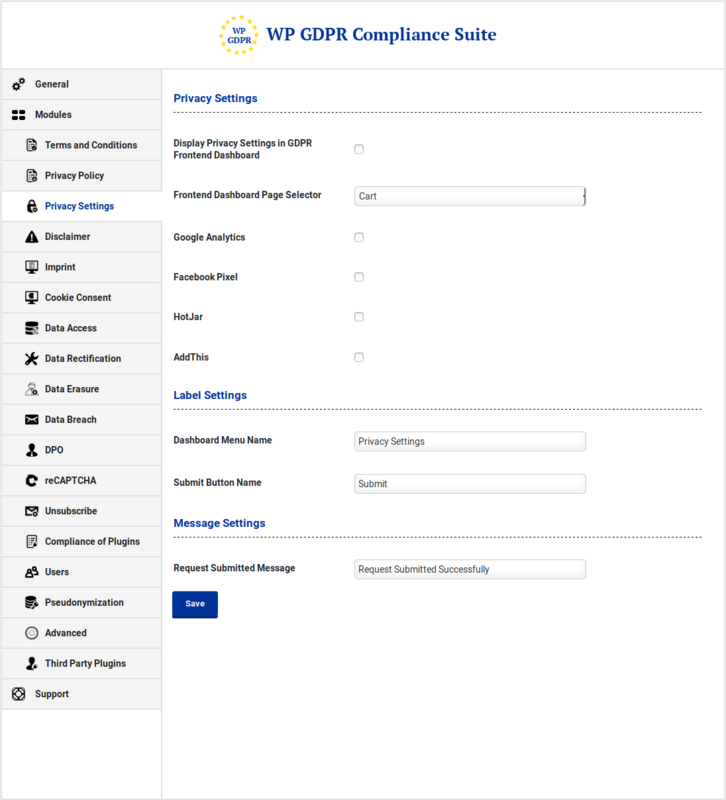 Install the latest version of WP GDPR Compliance Suite WordPress Plugin i.e. 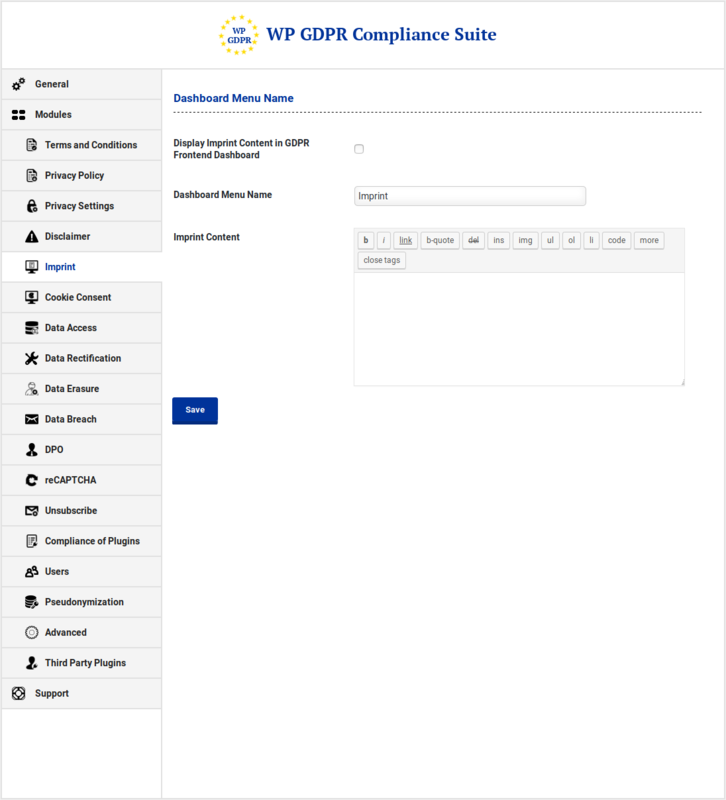 gdprsuite.zip using WordPress Dashboard. 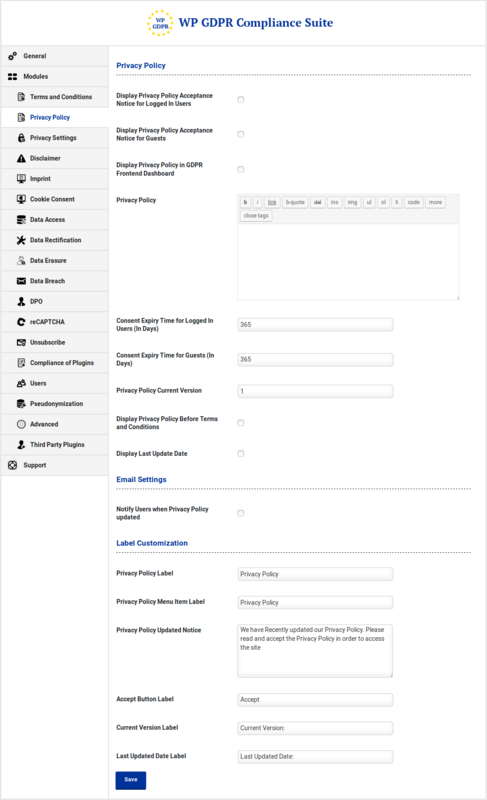 Tweak: Display Request Submitted notice to users after they submit Data Access Request.